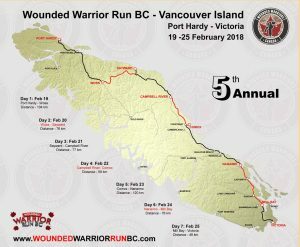 The Wounded Warrior Run BC is a relay style run composed of 7 runners covering the length of Vancouver Island in just 7 days. This year our team includes current serving military members, reservists, veterans, first nations, police officers, fire fighters, paramedics and civilians. Wounded Warrior Run will be arriving approx. 12:15 on Saturday 24 Feb at the Branch. It is hopeful that we have a good contingent out to greet them. 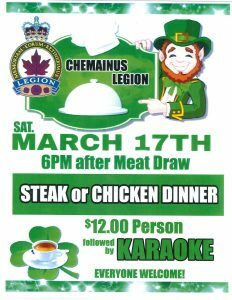 The plan is to provide a lunch for all who are attending on a donation basis with proceeds adding to our donations to Wounded Warriors. 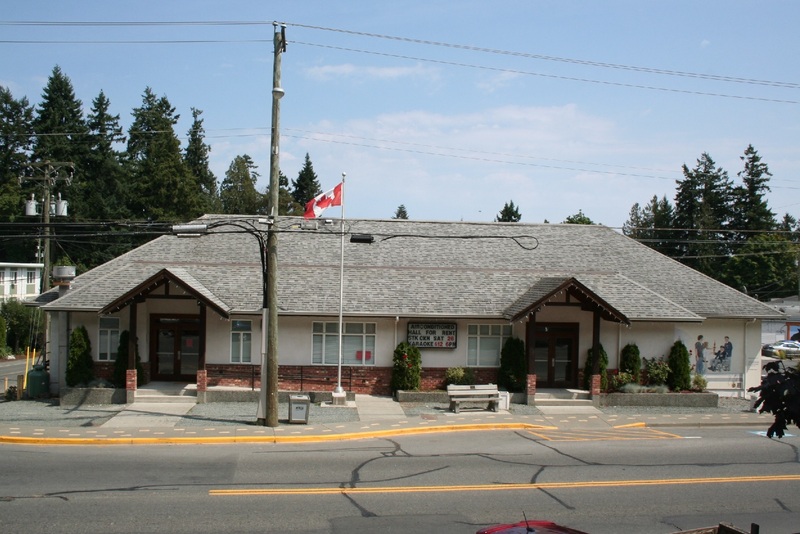 Runners started their trek on Monday 19 Feb 18 at 7:30 am from Port Hardy and will be finishing up in Victoria Sunday 25 Feb 18.